Home - Shop Teks Equipment Specialists, Inc.
Jack Hughes founded Shop Teks in 2000, after having been an installer for Garmat USA, throughout the Southeast US, for seven years. Shop Teks began as a paint booth service company, but Jack had a larger vision and began adding other equipment and services to the line-up. Over the years, Shop Teks has carefully selected equipment brands that we could stand behind, as well as employees who hold common values: the most important ones to be honest and loyal to customers. 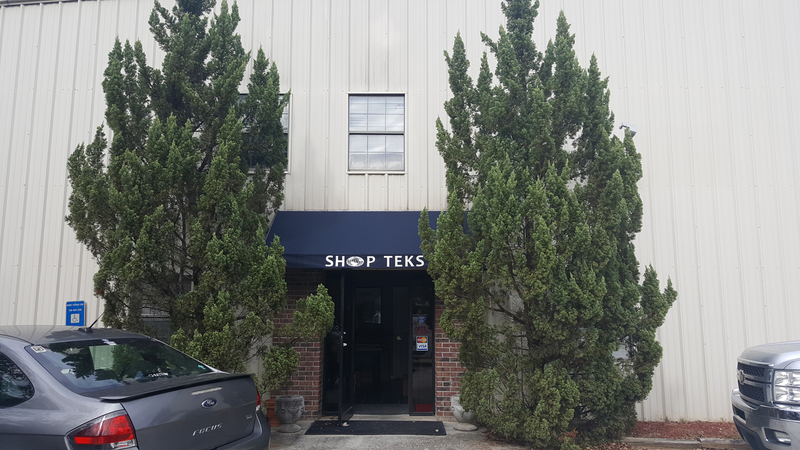 Today, Shop Teks consists of 6 employees, with over 100 years of experience, and is located in Lilburn, GA, in a 5,000 square foot building, with office, warehouse, and training facility. With a phenomenal team and consistently providing quality products and service to our customers, Shop Teks has been a multi-million dollar company since 2003 and continues to grow each year. We strive to continue to grow our business through successful customer relationships by providing quality products and exceptional service. Shop Teks has grown to be a trusted name for collision equipment and services, through partnerships with employees who hold the same core values on which the company was founded: honesty, integrity, and respect; and by associations with vendors who consistently provide superior products. In 2002, Shop Teks entered into a contract with NorAM for Shop Teks to be a NorAM distributor in the Southeast US. Shop Teks was a distributor for from 2002 - 2011 and was the #1 NorAM distributor for many of those years. From 2003 - present, Shop Teks has been a distributor for DV Systems air compressors, Prevost aluminum piping and air systems, Goff Industrial Curtain Walls, and Tsunami compressed air filtration and drying systems. In 2007, Shop Teks began a relationship with Car-O-Liner and became a distributor in Georgia and Alabama, and retains that relationship today. For the past two years, we have achieved “President’s Club” status with Car-O-Liner, having reached 125% of our sales quota. From 2012 – present, Shop Teks has been a distributor for Col-Met Finishing Solutions. Starting in 2017, Shop Teks proudly announced its partnership with Global Finishing Solutions, as the Auto Refinishing distributor for the state of Georgia! Since 2000, Shop Teks has successfully completed many booth installations.